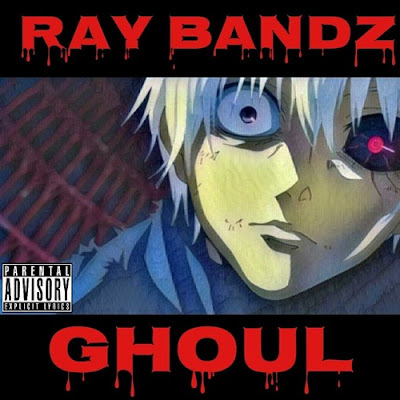 Nu World Entertainment Recording Artist - Austin, Texas native Ray Bandz is back with another Hot New Single "Ghoul" from upcoming EP titled #GhoulLife. Bandz exposes fans to the metamorphic state that he has gone through. Learning from his naive past, heartbreak has made him a ghoul. He plays upon and alludes to the anime Tokyo Ghoul. Using the pain that the main character went through, and the change that occurred in him. This is made evident in lines such as "My touka left me in the past." Or "I'm white haired Kaneki mad." Touka being the girl in the anime Kaneki had to become a monster to protect, and thus the uprising of a stronger more guarded 'white haired Kaneki.' The notes of the anime are subtle so even if you have not seen it you will still be able to get the gist, and further relate to the pain. Label: Nu World Entertainment Inc.